Hundreds of Ways to Say "I Do"
Edition has sold more than 100,000 copies. 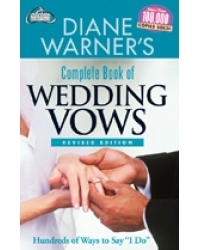 Warner’s Big Book of Parties and How to Have a Big Wedding on a Small Budget. Discovery Channel. She lives in Tucson, Arizona with her author-husband, Jack.